Daisy Photography Studios: We are a fun team of professional photographers with a passion for wedding photojournalism. Our specialty is capturing the candid moments of your special day. Silver Bear Creative: We are a full service photography and videography company specializing in weddings, bridal, family, and corporate needs. Our goal is to provide you with a professional quality product that will last a lifetime. Our team is equipped for any job with the experience you’re looking for in order to deliver the video and photos you’ll be proud to show off! Brandi McComb Photography: I have been in the wedding industry over 20 years as a professional singer, event planner and now a professional photographer the last 16 years. You can find me on The Knot, Wedding Wire and also on Facebook & Instagram. Valentina Vladi Photography: We are a great team of professional photographers and videographers, and we strive to make beautiful images so you can truly cherish and relive those happy memories over and over for many years to come. Let us capture your wedding! Shooting Star Photography: Each time I pick up my camera, I am motivated to do my finest work for each client. From lighting and locations to sets and posing, I work with my team to create an individual, unique experience for each client. Ryan O’Dowd Photography: Ryan & Laura are a husband & wife photography team whose authentic love for people can be felt in images they create & relationships they foster through photography. Alpha Bartending Co: We have a combined 10 years of experience in the field and are eager to bring the party to you! Let Alpha Bartending Company do the work while you relax and socialize with your guests. No matter what the occasion or the size of your event, we are here to take care of your bartending needs. We specialize in providing the best bartending experience with our professional, TABC certified, bartenders at an affordable rate. Two Sisters Catering: Events to remember, that’s our passion. Two Sisters Catering will impress you and your guests with exceptionally fresh menu ideas, presented with style and customized for your event. Bringing innovation and over twenty-five years of experience to your event, we approach your special occasion not as a one-time event, but as the start of a long-term relationship. Personalized menus, attention to detail and a desire to exceed expectations are the hallmarks of Two Sisters. Fernando’s Mexican Cuisine: Exceptional Mexican food is our specialty! Let Fernando’s help you with full service catering and on-site grilling — All your favorite menu items and our attentive staff at your service! As in our restaurants, we offer upscale Tex-Mex food and beverages using the freshest ingredients, along with professional staff that is dedicated to making your event a success. We take pride in our ability to customize our menus and service options to meet the needs of each individual client. Our goal is to ensure that your role as host is easy and seamless, from beginning to end, so that you are able to relax and enjoy the special occasion! Daltex Catering: As a full-service catering company, Daltex Catering specializes in creating custom menus for our clients. We cater any event, any menu, any time including everything from Weddings to Business Luncheons. Whether you are looking for a drop off, buffet style or a plated meal, our chefs can customize a menu to meet your taste and budget! Tasty – Cakes & Confections: We have been serving the Dallas/Ft. Worth Metroplex since 2014. Specializing in custom cakes for weddings and other special events. Tasty Cakes is a family run business, Owned by Jessica Thompson, who has been making and decorating cakes from scratch for over 10 years and has a true passion and love for the industry. When you choose to have Jessica provide your cake for your event, you can have complete confidence that she will be the one baking, decorating and delivering it! In addition to cakes, Tasty – Cakes & Confections also can provide other treats for your guests….check out our website for more details. 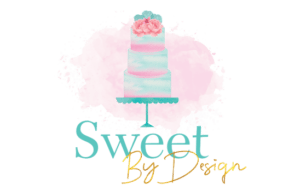 Sweet By Design: We are a custom bakery located in Melissa, offering personalized cakes, cupcakes, and other treats for all special occasions. We want to take your wedding vision and make it a little sweeter! A memorable cake takes both great flavor and design, and we strive to give our clients a fantastic dessert centerpiece that their guests rave about way beyond the big day. Contact us to schedule your complimentary tasting and design appointment. Royal Catering: Finding the right caterer for your special event can be a challenge. You are planning a special day in your company or, maybe more important, in your personal life. Our job is to make you job easier! We are a dedicated caterer and a complete catering solution for our clients. You will not need to have multiple vendors as we have all of your needs covered. Celebration Catering: We are one of the largest caterers in the Dallas area, bringing our customers the finest in food, service and catering excellence for over 47 years. Celebration Catering can handle any size event and we are proud to partner with many of the finest event venues in Dallas and surrounding areas. 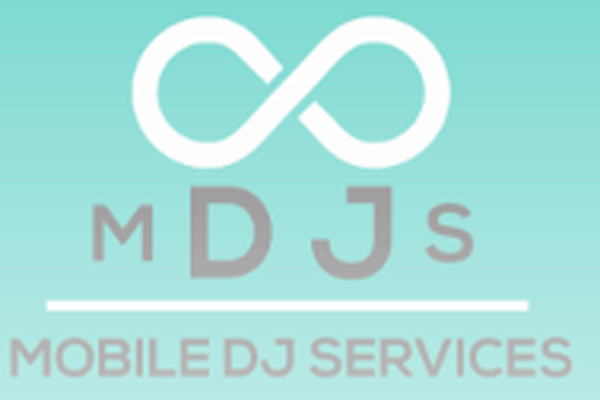 Mobile DJ Services, LLC: Professionalism, Excellence and Just Great Fun. At Mobile DJ Services, LLC, we believe that joy can be obtained through music. When love and music are involved, it seems even more distinctive. We also believe there is something extraordinary about the sharing of emotion through music that marks an occasion as unique. Tim Howard Weddings and Events: Sr. Master of Ceremonies/DJ Tim Howard is a trained and experienced triple wedding and event planner, and an independent ordained clergy, specializing in Weddings, Corporate Events, Team Building, Picnics, and Holiday Galas throughout the Dallas metro area. We are available for Private Parties, Anniversaries, Birthdays, Surprise Parties, Conventions, Fundraisers and any Social Event requiring Disc Jockeys to provide licensed music, fun, excitement and memorable events. Blue & Tan Events: Planning and designing is our passion. As event planners we can’t say we’ve done it all, but we’re getting there! We’ve fought takeoff while holding hundreds of helium filled balloons, been covered head to toe in glitter, steered carts much taller and heavier than us through crowded venues, tried our hand at growing plants for centerpieces, jumped into dumpsters at 1AM to find lost keys…and we’ve loved every minute of it! Daydream Events: We offer event management + design. Weddings are our passion but we also manage family & corporate events. We absolutely love our clients and we build a relationship with them from day 1. Your wedding day is one of the biggest days of your life, we don’t take that lightly. We spend time with our clients and listen to them so that we can truly get a grasp of what they envision for their special day. Together we can make your dream wedding a reality. Lena’s Fine Linens: Lena’s Fine Linen Rentals is a family owned business specializing in the rental of table cloths, chair covers, sashes & other fine linens for weddings and other special events in Dallas and Collin Counties. Debra Pope CruiseOne: The world’s largest seller of cruises, but also sells air, hotel and resort Honeymoons to destinations worldwide. Because of the size and clout of CruiseOne/Dream Vacations, when booking your Honeymoon with Debra or her associates, you are assured of getting the lowest possible price with special offers to include upgrades, prepaid gratuities, onboard credits and more. CruiseOne/Dream Vacations offers a Honeymoon Registry and Honeymoon Showers. Give them a call today! BLOG POSTS FOR RECENT EVENT STORIES AND TIPS!